The previous weeks of Sunday Stash 2014 I have posted about full bundles/fabric lines, which I tend to buy frequently. This Sunday Stash is about buying those pieces that you really like, and not splurging on the whole line. First up, one of my favorite designers, Joel Dewberry’s and his new line Botanique (Purchased @Hawthorne Threads). 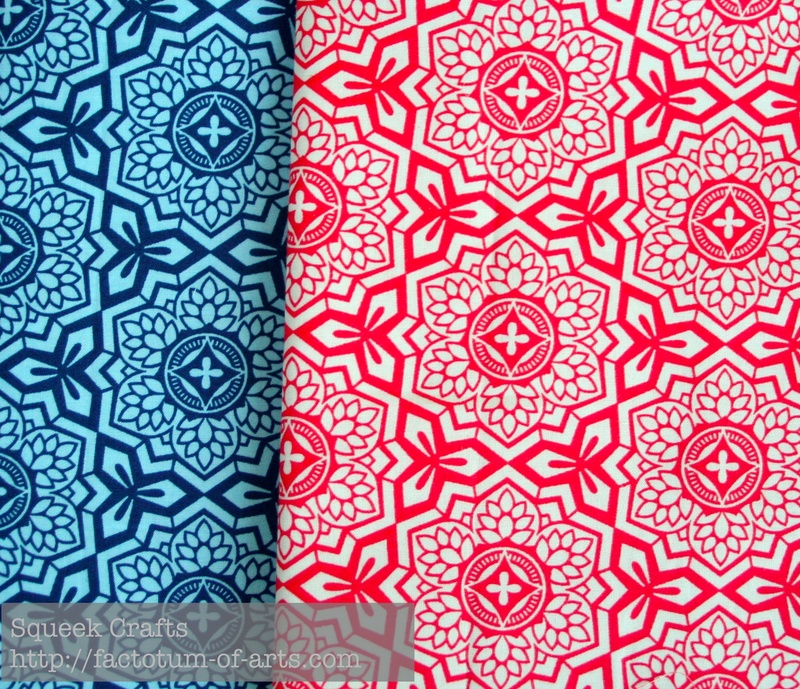 I really liked these two prints/colors of Mosaic Bloom. I might go back and pick up some Domino, as well from this line – for now its on my list of possibilities. AGF came out with chromatics (purchased @Hawthorne Threads) and I picked up these prints: Triangularity (the ones on the left) and Pointelle (circles on the right). I loved the first two triangularity prints for some upcoming blocks that need some low-volumes. The rest I just thought made great stash pieces. That’s it for this week, linking up with the fabulous Molli Sparkles Sunday Stash. This entry was posted in Uncategorized and tagged AGF Studio, Bontanique, Cary Quilting Company, Chromatics, fabric, Hawthorne threads, Joel Dewberry, Peppered Shot Cottons, quilting, Studio E, sunday stash on January 20, 2014 by mlwilkie. No secrets!!! Share! Share! What do you have planned for those shott cottons? I want details on how they wash if you wash them. 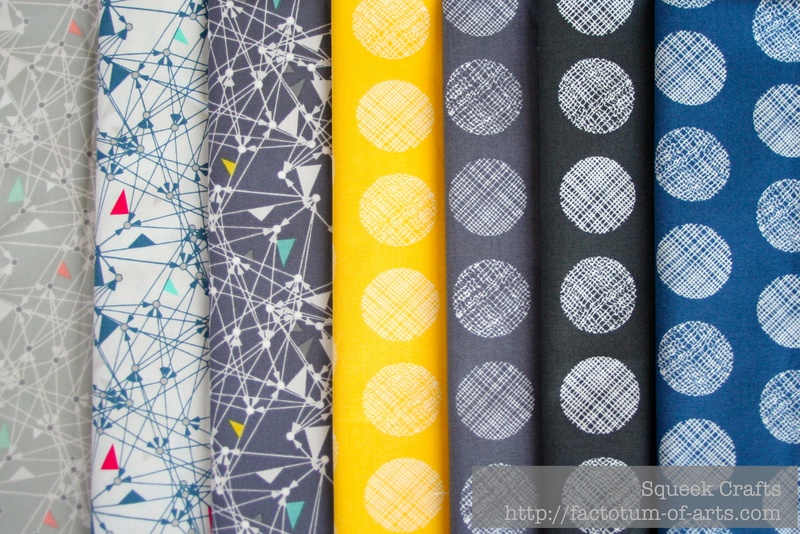 Buying just a few prints from collections is one of my favorite ways to buy fabric. It’s rare that I love every print in a line so I enjoy buying larger cuts of my favorites. Great choice on the Botanique prints. It really depends for me. I tend to buy complete lines if it is a designer I really like. I love those botanique’s, the colors are fantastic. I need to be better about just buying the fabrics that I love and not the ones I like and love all together. Those first ones are GORGEOUS! I know – my favorite as well. Love the Mosaic Bloom and the shot cottons, especially your colour choices! Chromatics! WOOO! And triangularity is my fave from that line… even though it was also in Urban Mod, I can buy it twice, right? Hahaha! Thanks for linking up! Absolutely gorgeous, it’s hard to resist the temptation to buy a whole line, you feel like you should but unless the majority are something you like or it’s exactly your colour scheme, then this the way to go. Oooh I am taken by that red and white Joel Dewberry. I love those shot cottons!!! Yeah, I just went and looked at the whole thing on Hawthorne Threads (I’ve been trying to avoid looking at new collections, so as to avoid temptation :-)) and really I think the mosaic and the domino prints are the best. I like the orange Camelia print at a distance, but not so much up close, The web and houndstooth prints are both okay, but nothing about them makes me want to break my fast to have them and the rest…. well. Maybe I’d like them better in person. I often find something slightly off or odd about Joel Dewberry’s colour combinations – the shades often feel just slightly askew from where I think they should be. I don’t notice it so much with the blender type prints, but when he starts stacking up multiple colours in one print, that’s where I often find things just a little bit off. 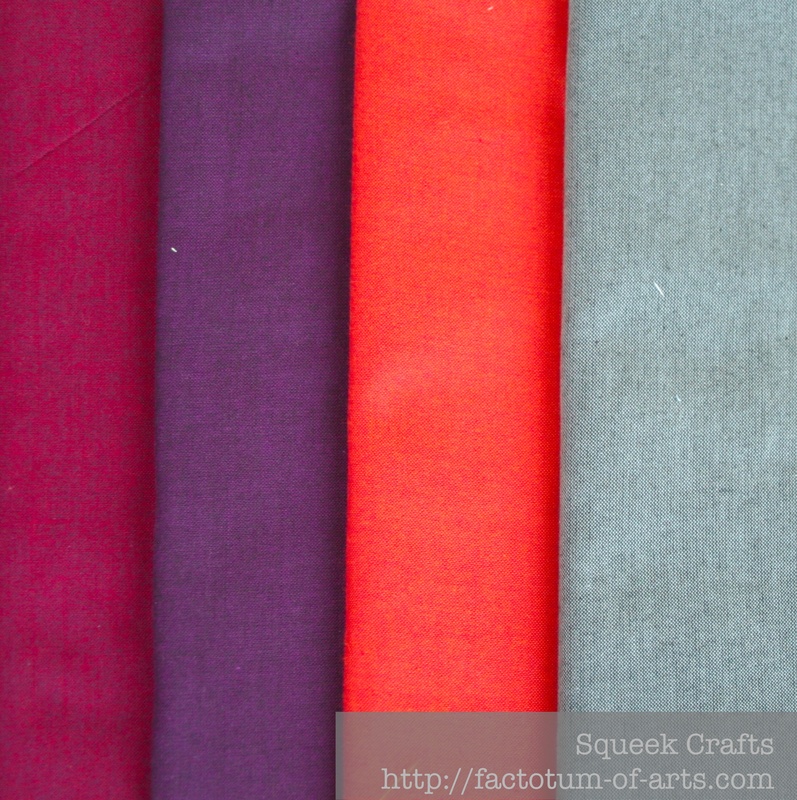 Hi, my name is Julie, and I cannot seem to buy just one fabric (unless it’s for an iSpy) – I tend to buy a lot of the line. I think I have a *problem*. 🙂 That Mosaic Bloom really caught my eye! At least we’re in good company!